It’s raining, but it’s summer, so I know that soon the sun will arrive with a lot of good news. This is one of the most busy period of my life: I am working on different directions only for one reason. I think that there is a chance to change. 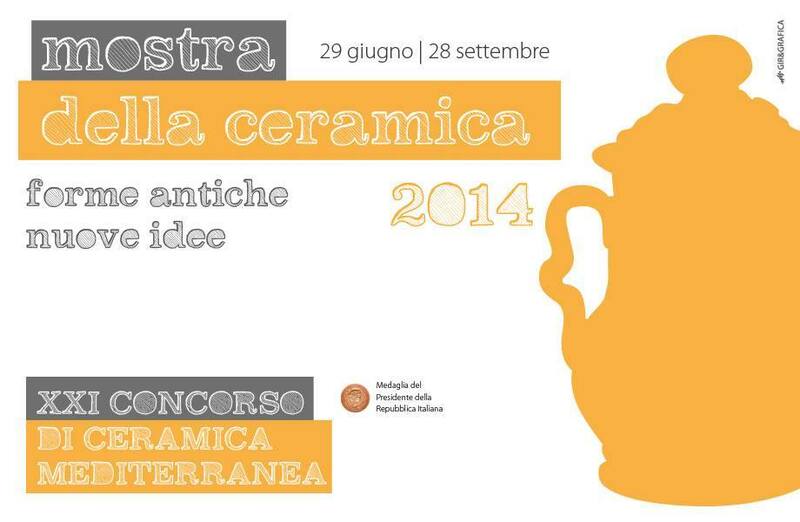 So I decided to take part to the XXI Mostra Ceramica. I did an installation, in the next days I will show pictures of the work. This week will happen also Testimonianze ceramiche (click here). 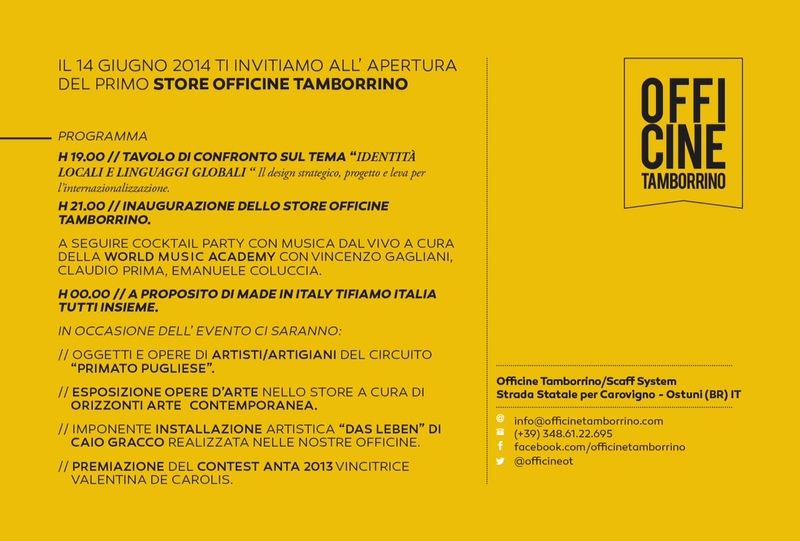 I organized a meeting with 3 person that are giving a great contribute to the ceramic in Italy today. Claudia Casali (director of the MIC – Museo Internazionale della Ceramica in Faenza-, Nicola Boccini (ceramic artist) and Silvia Imperiale ( expert in ceramic communication). I received the contribute of the Puglia Region, that are giving opportunity to organize Laboratori dal Basso with the PO FSE 2007–2013. I hope that if you are here you will pass here to see the art show at the Castle and to listen their conference. It’s time to update the blog, it’s time to share with you tons of things that will happen soon. This month will be incredible full of events. I will do different group shows while I am organizing one of the most complicate exhibition in my life. It will happen this summer in collaboration with Dario Miale. Do you know Sano/sano? It is the name of our collaboration. Click here if you don’t. 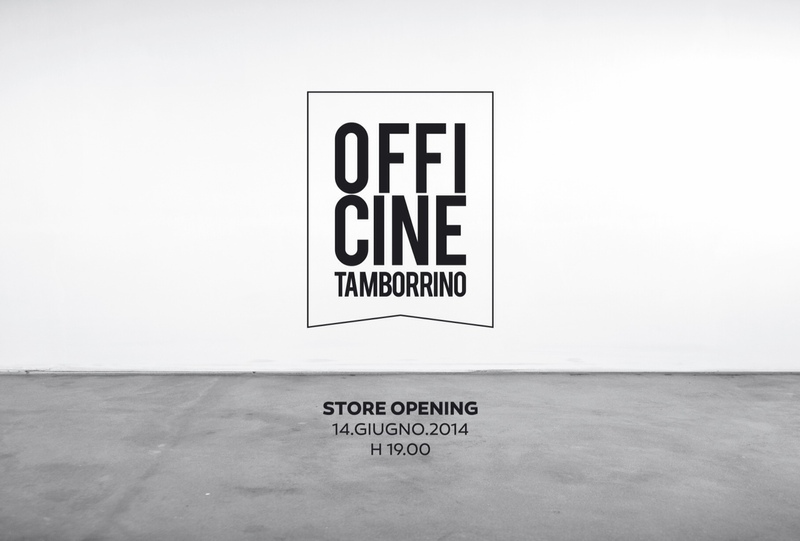 – The 14th of June Officine Tamborrino (click here) will open a new store in Ostuni. I will show there some pieces for 15 months. It will be a collaboration with Primato Pugliese, I will speak about them in the future. 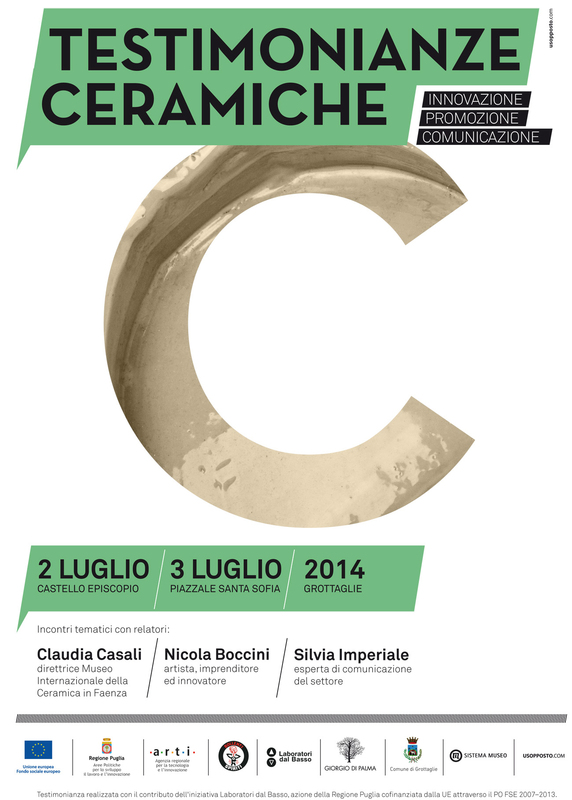 – The 29th of June there will be the Contemporary annual ceramic exhibition in the Castello Episcopio in Grottaglie. I will do a nice installation. I don’t have picture because usually in my city they are really slow to made graphics, ecc. You have to come and see or you should wait a couple of weeks. – There will be also the 99% to realize a project in partnership with the Regione Puglia. It should happen the 2th and the 3th of July. If yes it will be great to share with ayou something really great and professional. Cross the fingers. – I come back after 1 week in Sardegna. I spent some days with my sweet half Valeria. This land is AMAZING: the people, the food and the sea. Everything s perfect. Now that I am bronzed like never in my life, i am ready for the summer. Gotta go….. Thedust is waiting for me.